Our certified electricians are the best at their craft. You can count on Central Carolina Air Conditioning, Plumbing & Electric to give your home the respect it deserves. We scan the electrical panel and throughout the home looking for hot spots in the electrical system. It may seem that everything is working alright but we can sometimes find a breaker or outlet that is overheating internally for one reason or another. Electrical situations are one of the largest causes of fires and this preventative step could save your devices. We review your switches and outlets for wear to make sure everything is working properly. Believe it or not, panel connections tend to loosen up over time. Another source of heat or arcing – we’ll make sure everything is snug. There have been times we’ve gotten an additional full turn on a connection! Consumer Reports says the life expectancy of a smoke detector is 10 years. Carbon monoxide detectors can be anywhere from 3-7 years (source: Kidde). We’ll check these devices and change the batteries if needed and make sure they are compliant. Those outlets with the “test” button are there for a reason – to ensure your safety near water and other hazards. We’ll check them to be sure they function properly. We’ll check your breaker panel to ensure your home’s load is properly disbursed. Too much load on one side can cause higher power bills and excessive heat. We’ll test and see where you stand. Central Carolina Electric is able to review the size of your home and can recommend the correct whole house generator for your needs. Allow us to install a Whole Home Panel Surge Protector that protects your entire home from lightning and power surges. Replace existing lighting in your home with energy efficient LED lighting. LED lights save energy costs and last longer reducing your power bills. 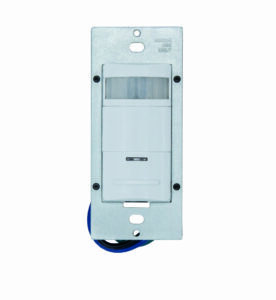 We can save you money with Motion Controlled Light Switches in the homes you use most often! For those with family members that forget to turn off light switches, these are a must have! Did you know Central Carolina Electric can install lights that switch lights on and off via your phone through an app? Your home can look like your home as you can turn on and off lights remotely while you're at work or on vacation! Our Policy of Assurance customers are eligible to participate in our WholeHouse Agreement. This agreement allows your home's major systems to be covered with annual inspections and lowered prices on repairs. Sometimes, you don't know you have a problem, until you really have a problem! With our Safety Electrical Maintenance Inspection, we will alert you to any electrical issues in your home. The safety of your family is threatened when your electrical systems function without periodic professional attention.